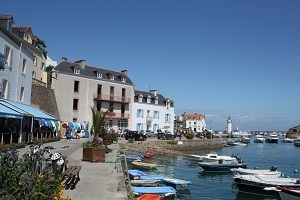 Bangor and Locmaria (on Belle Ile en Mer Island) are characterised by their rolling hills and plentiful moors, which weave through the untouched central plateau. Bangor is the only commune on the island whose entire coast faces what was once called the “Wild Sea”. This is, to a lesser degree, the same for the commune of Locmaria, further to the east of the island. 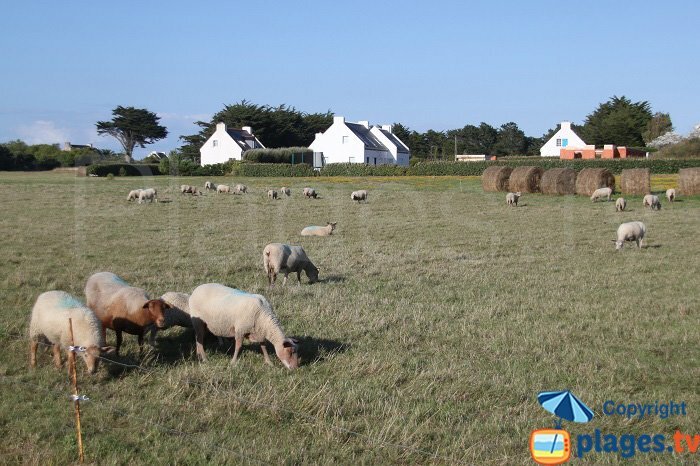 Formerly farmland, Belle-Ile’s Wild Coast went through an economic slump before tourism succeeded where agriculture could not. 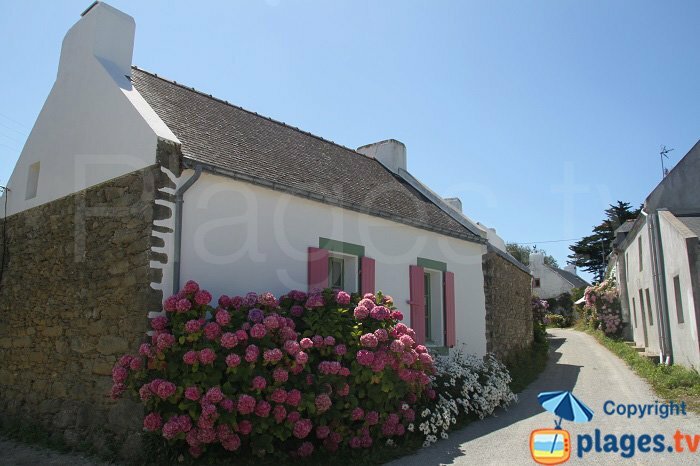 It was none other than the painter Claude Monet who first drew attention to this magnificent Island. 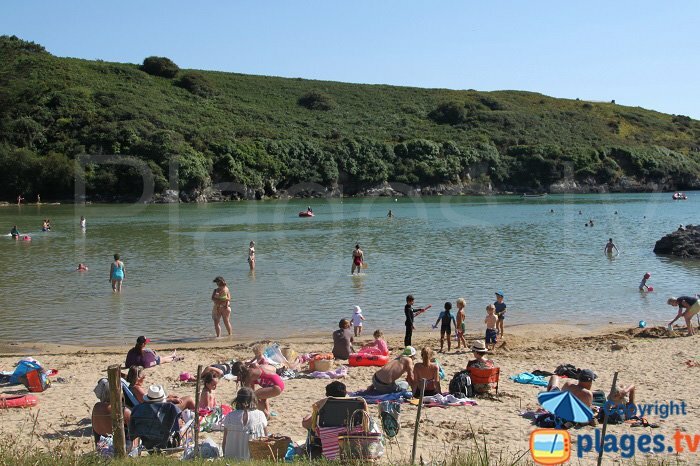 Today, hikers, painters, and photographers alike wander the coasts and Donnant and Herlin’s beaches, once forgotten, now count amongst the most visited on the island. 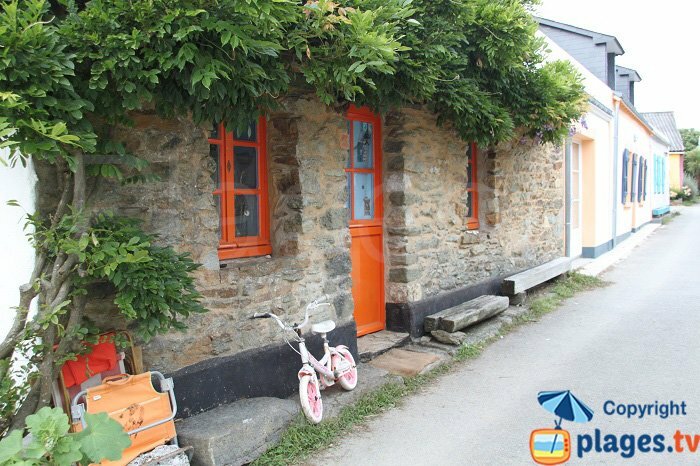 A popular and enjoyable experience is to meander slowly inwards and aimlessly wander the various hamlets, filled with brightly coloured houses. 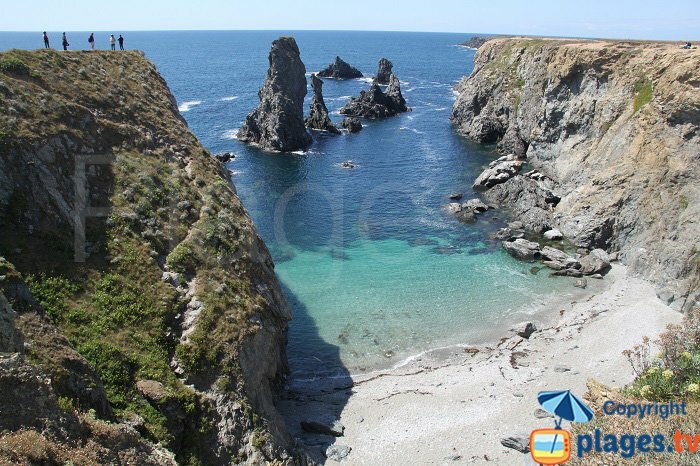 Port-Coton needles (visible from Kouar Huede Cove) are one of the numerous attractions of the Wild Coast, painted 39 times by Monet they inspired droves of artists to come to the Island, including Sarah Bernhardt among others. 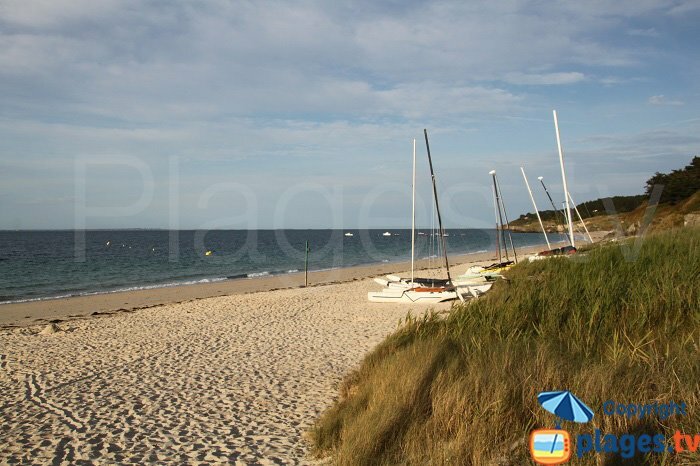 While there are many tourists, there exist even more deserted coves. An enchanting sight for the eyes but a veritable nightmare for the legs due to their steep paths. Goulphar, close to Port-Coton is well worth a visit. Not just for its spectacular views of the rock formations, but also for its 52m high lighthouse, built sometime between 1926 and 1935. It is best visited during summer. When it was first built, the alternating flashes were ensured by a counterweight system that had to be wound back up by hand several times a night. If a lighthouse keeper overslept it could have disastrous consequences…. 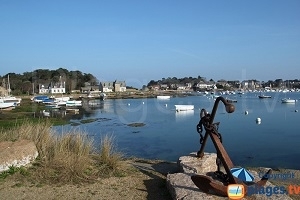 Not far from Herlin’s beach lies Baluden’s Point, a well-visited area of natural beauty under the protection of the Coastal Protection Agency (Conservatoire de l'espace littoral) . 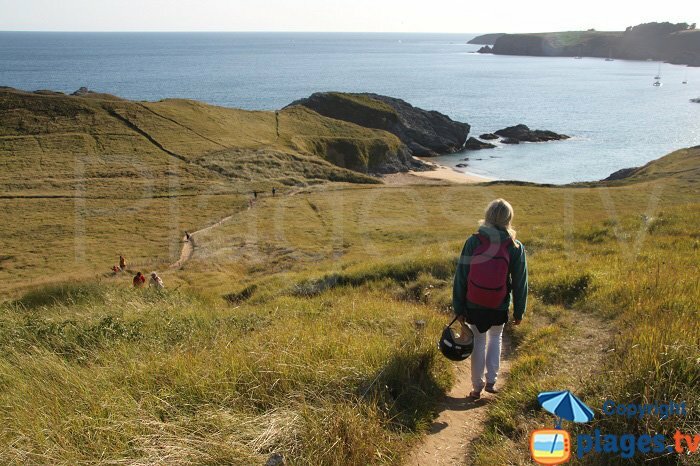 Baluden’s Point rolls out its green carpet of meadows and moors, leading to its very own beach. Although a long walk is necessary to get there, it is well worth the effort! 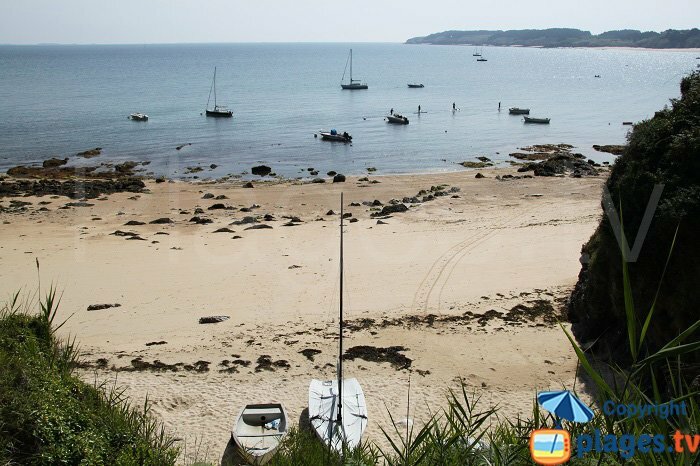 At the ocean’s mercy, the Wild Coast offers a tranquil paradise in its estuaries and inlets where boats and bystanders alike can find a place to rest (pictured above: Port-Goulphar). From time to time you can find parties on moored boats here, and the atmosphere is electric. Kerel beach is another popular destination. 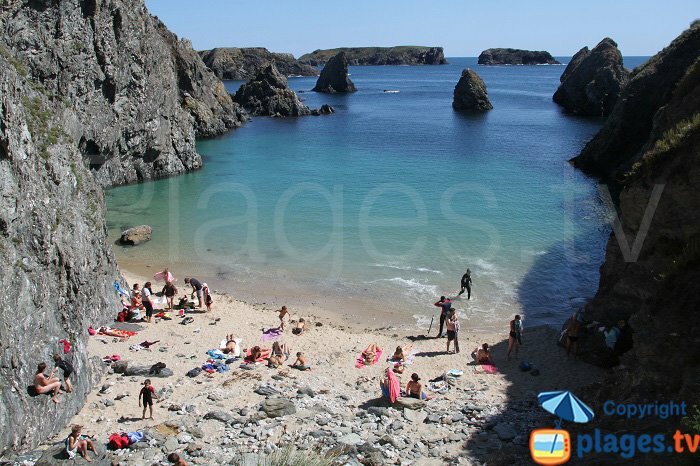 The Wild Coast is where you will find the most picturesque coves and pebble beaches on all of Belle-Ile. The little market town of Bangor is the only borough on the island to not have a coastal boundary. 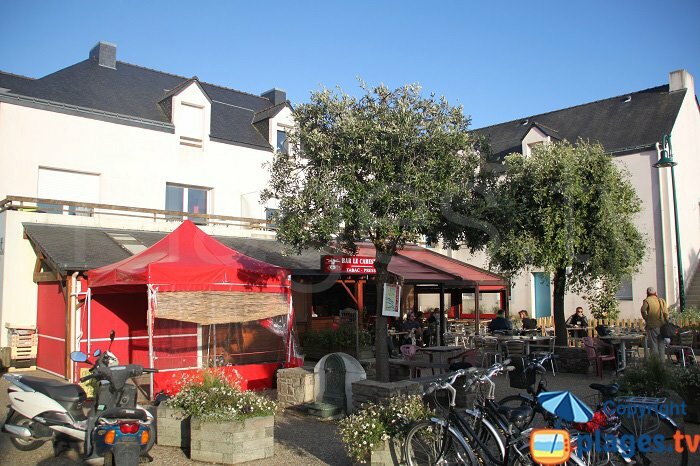 It is lively throughout the year, especially before meal times where fishers, artists, and seasonal workers mix to create a cheerful atmosphere rivalled only by that of Groix, a neighbouring island. 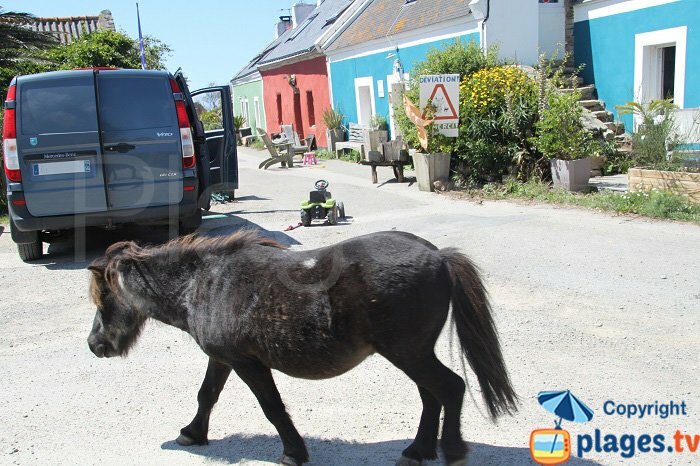 There are many different types of transport you can take on the island: scooter, horse, bike….Take note however, that the lay of the land is not the easiest to navigate and electric bikes are not a luxury found on Belle-Ile. 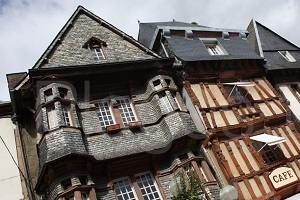 You can find various rental companies in Palais and Sauzon. 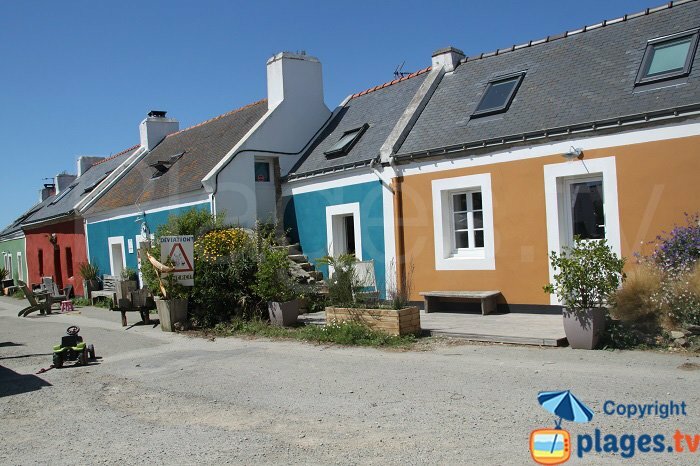 Brightly coloured, the houses here inspire anything but sadness. Warm and welcoming, like the islanders themselves, the doors and windows here have developed a kind of living joyfulness, almost as if to combat the harsh winters. That being said, the harsh winters are counteracted by mild temperatures from Spring to Autumn and a supra-Mediterranean climate that allows the Island’s flora to bloom: Gorses, Palms, Fig trees, Cordylines…. And of course the Hydrangeas…. 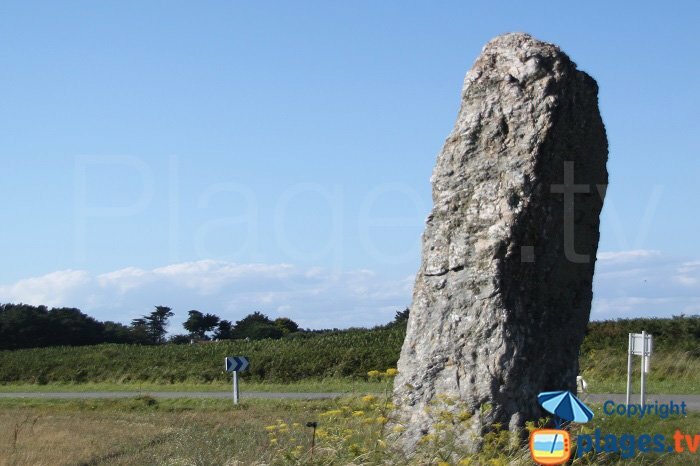 At a crossroads in Sauzon you can find two standing stones within a hundred metres or so of each other: “John” and “Joan” are at the root of a tenacious legend. John, the son of a bard, and Joan, a poor shepherdess met every night to declare their love for each other, despite the Druid Council forbidding it. Disapproving of the coupling, the Druids ordered the Borgroix Witches to transform the two lovers into stone….but some nights, on a full moon, a kind fairy, touched by the young lovers plight, breaks the curse that binds them, so that, for a few fleeting moments, John and Joan may be in each other’s arms once more. These two, on the other hand, are completely free to be together. 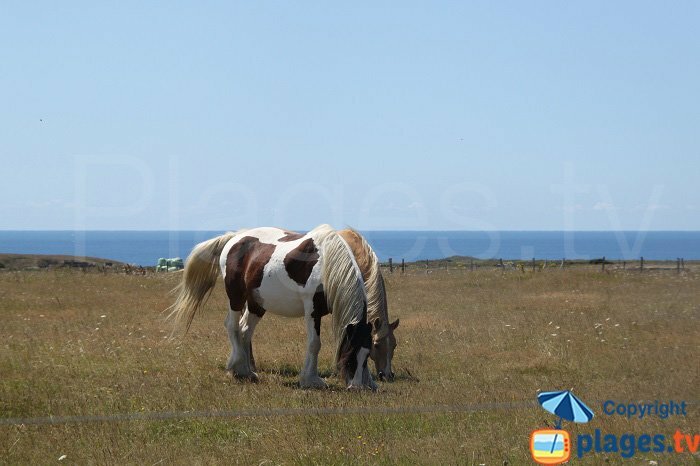 Semi-feral horses are commonplace further inland. The previously low-quality soil has slowly been transformed into cultivable grassland. 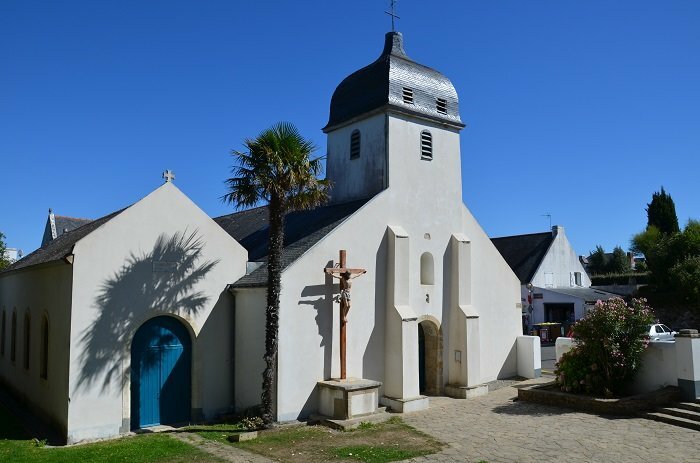 The first Christian Sanctuary of the island, Notre Dame de l’Assomption Church, was established in 1070 by the Sainte-Croix de Quimperlé monks. However, there must have existed pagan cults prior to the building of the church because it was rumoured that if you took “a couple of steps” inside it ward off evil spirits, the area was rumoured to have been “full of witches”. The church was repaired and extended in 1694 but the bell tower, shaped like a “salt shaker”, dates from 1714 and the adjacent chapel was added in 1868. 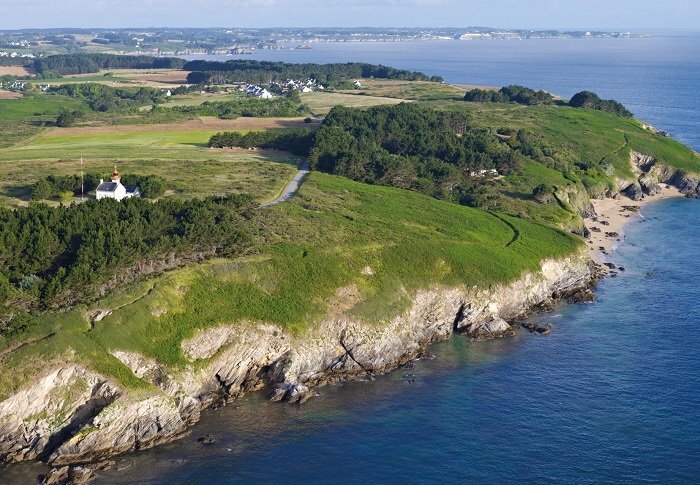 Locmaria’s east coast hides a great many lighthouses and fortifications, built to warn sailors of the cliffs, and the islanders of invaders (pirates, the English or the Spanish). 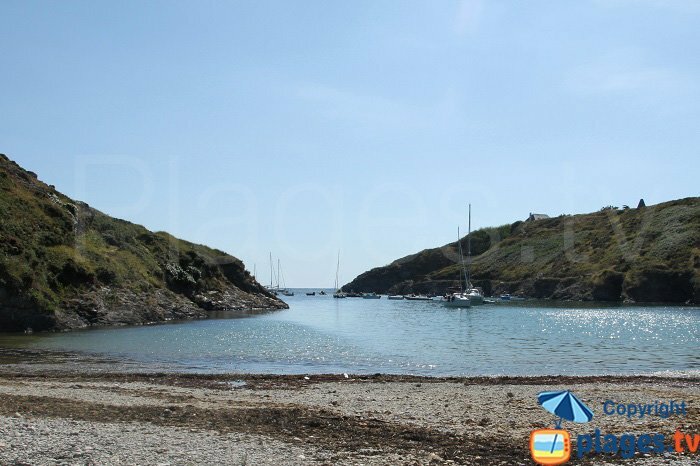 In the picture above, on the right, you can see Galère beach, it’s very nice in the mornings but a little difficult to get to and one that allows considerate nudism. 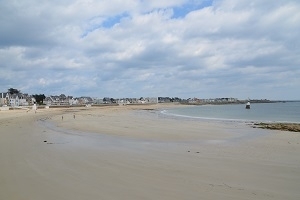 Grands Sables, on the other hand, is the largest and most accessible beach on the island and the best place to go boating. Recreational or educational days out or simply a desire to escape for a while. Bangor and Locmaria has exactly what you need to satisfy your diverse appetites.